Gusty winds and low humidity coupled with the serious lack of moisture the past few weeks will make for critical fire weather conditions on Wednesday. Any fires that start could grow out of control quickly, so any planned burning should be put off until conditions improve. In addition, keep those cigarette butts in the car. Many fires start this way from careless tossing of these out the windows on roadways and highways. 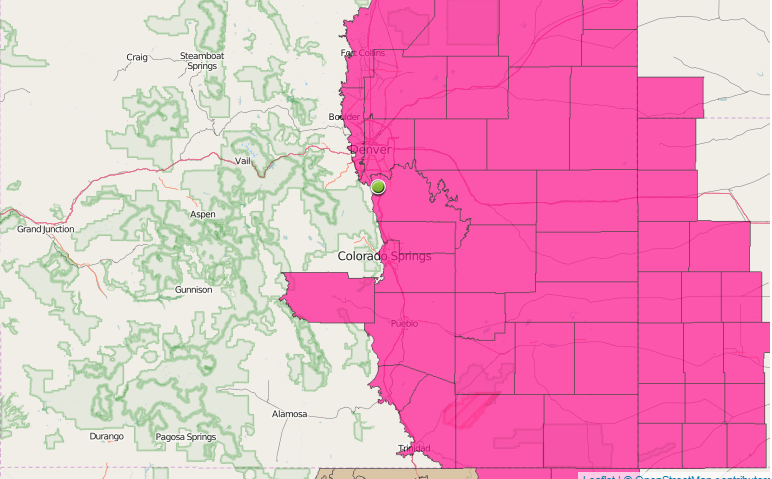 The storm prediction center has the critical fire conditions outlined in their Fire Weather Outlook today. 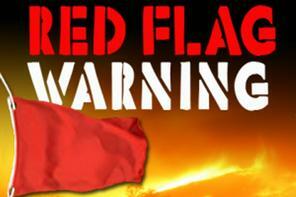 In addition, the National Weather Service has issued a Red Flag Warning for those critical areas of Colorado. 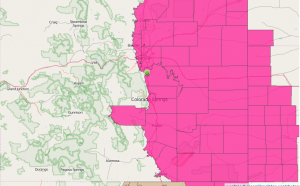 At this time the warning includes all of the eastern plains of Colorado including the city of Denver and the Palmer Divide area. Have a great Wednesday everyone and be safe!